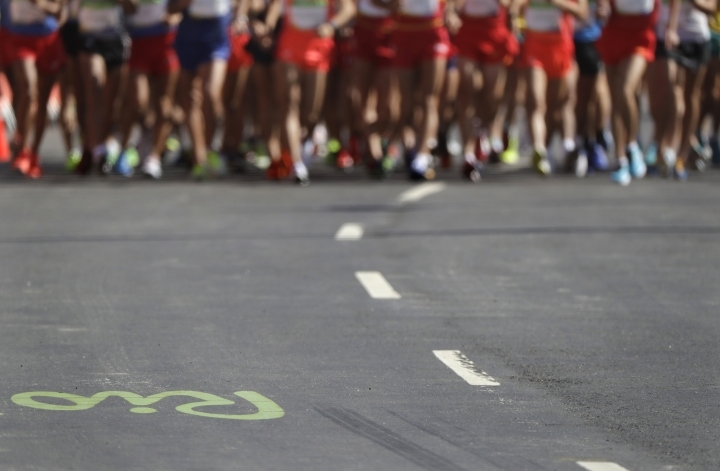 RIO DE JANEIRO — Some 5,000 miles away from Brazil, longtime racewalking coach and competitor Don Lawrence was watching an online feed of Friday's men's 20-kilometer event at the Rio Games when the conversation turned to doping within the sport. The question was if it will ever be considered clean. "I don't see that coming in the near future," Lawrence said. 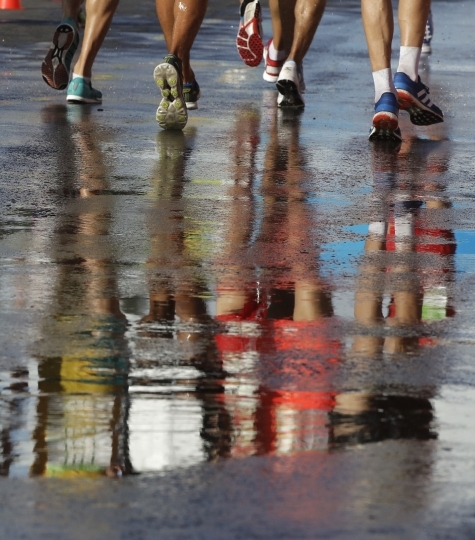 A grim answer, yet that is the reality for racewalking right now. Dogged by doping issues for years, and with one of the highest-profile people in the niche sport being handed an eight-year ban just one day before the first racewalk of these Olympics, it presses on — with predictable insistence from those that the worst days are in the past. 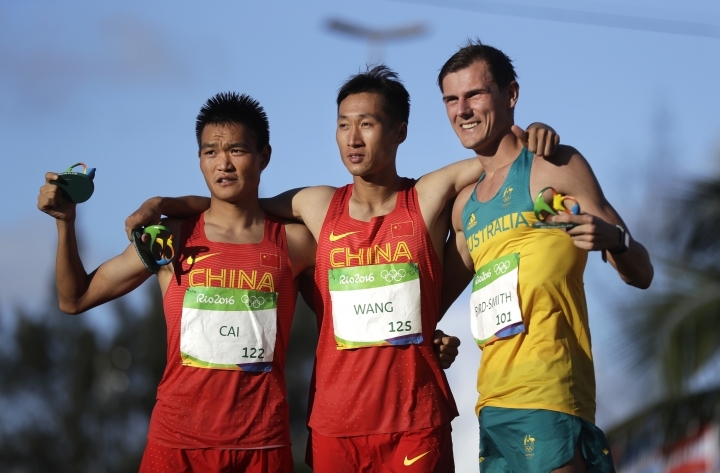 Wang Zhen of China won the gold medal Friday in 1 hour, 19 minutes, 14 seconds, 12 seconds ahead of countryman Cai Zelin. Australia's Dane Bird-Smith was another 11 seconds back to take the bronze medal, in a field that had no Russians as part of the massive fallout from the discovery of a state-sponsored doping program. 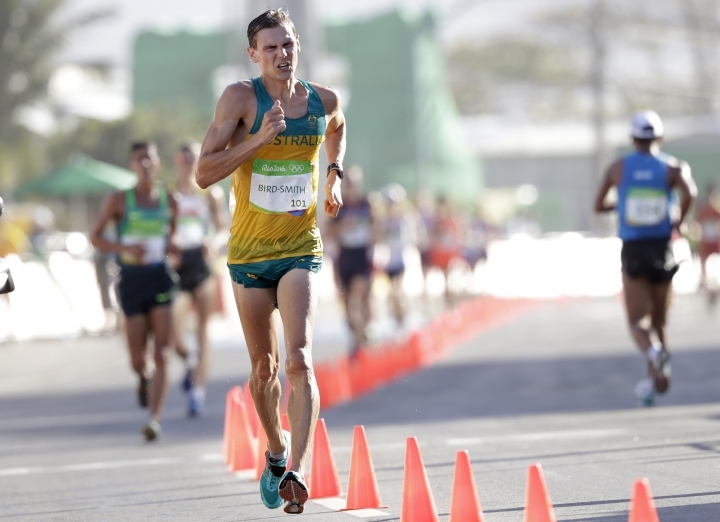 "Even the Russians had turned up for this race, it wouldn't have changed a thing," said Bird-Smith, the son of a two-time Olympian. "I'm still here to bring it to them. So there's no backing off, even if there's guys that are doping in the race. ... I'll always advocate that we crack down hard on anyone who's caught in doping. It just got to a point where it was a bit ridiculous, wasn't it?" Friday's race came one day after the Court of Arbitration for Sport dismissed the appeal of Italian racewalker Alex Schwazer — the 2008 Olympic champion in the 50-kilometer racewalk — and imposed an eight-year ban for steroid usage. It's a double-whammy for Schwazer, who also missed the 2012 London Games following a ban for another doping offense. 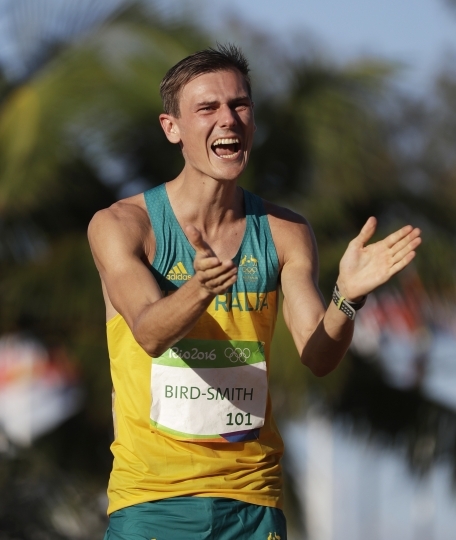 "Doping is one of the most frustrating things in this sport," Bird-Smith said. "There's not much you can do." 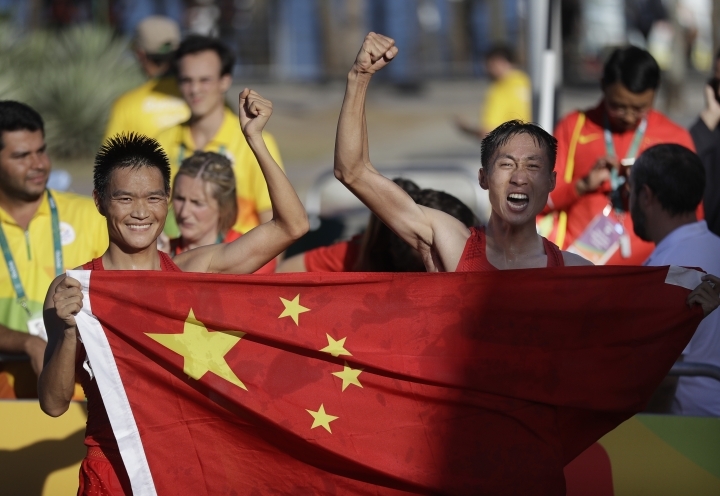 Wang won the bronze medal at the London Games four years ago, and the 1-2 finish for the Chinese marked the third time that one country took the top two spots in the 20-kilometer walk. And it's the second straight gold for China in the event, after Chen Ding won in London. "I just followed my heart," Wang said. 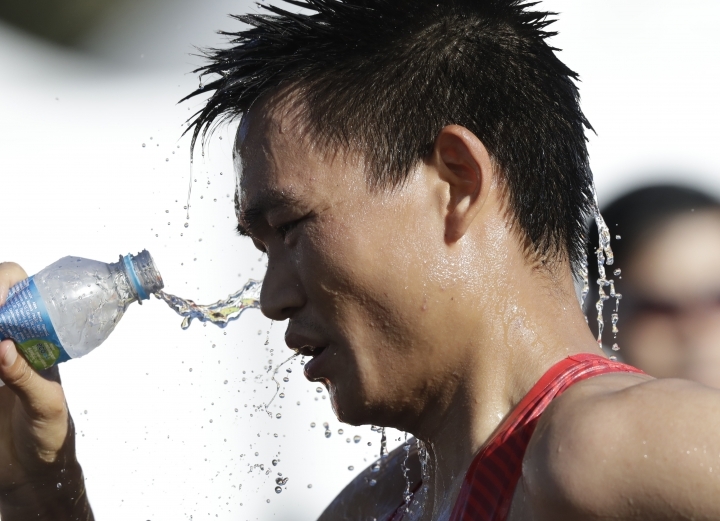 Russia had claimed 11 medals in racewalking in the last five Olympics. There's also been at least 33 doping cases involving Russian walkers in recent years, with 26 of those leading to bans — and almost all out of the same training program. It's well-established that the sport is rather peculiar to watch, especially for those unfamiliar with the rules and nuance of racewalking. A tightly packed mass of athletes start en masse, elbows swinging, hips swaying, legs straightening with every stride and ensuring that one foot makes contact with the ground at all times. "I tend to think that those who put down the sport because of its silly gait have never tried it," Lawrence said in a telephone interview from the Berkshire Mountains of Massachusetts. "You have to have a thick skin to do it." But the cloud of cheating, whether real or imagined, certainly doesn't help. And for those within the sport, frustration is clear. "It's been kind of disappointing since our sport doesn't get that much attention and publicity anyway, and then this is what it's known for now," said U.S. junior women's racewalker Meaghan Podlaski, a future Olympic hopeful who attends Rensselaer Polytechnic Institute in Troy, New York. "I'm hopeful that one day everyone will see the positive things, not just see it as a bunch of cheaters and dopers." Bird-Smith has the same hope. "It's something that all athletes have dealt with for the last couple years," Bird-Smith said. "And it's something we're going to continue to deal with, because it's such a tough problem to overcome."